Click here to contact members of the KMSHA staff. Meetings are held in the PONY CLUB Building Conference Room Kentucky Horse Park, Lexington KY.
KMSHA MEMBERSHIP MEETINGS - Meetings are held the second Tuesday of every month at 6:30 p.m.
For more information, contact the KMSHA Office. Meetings are held in the PONY CLUB Building at the Kentucky Horse Park. Lexington KY 40511. KMSHA Trainer’s and Exhibitor Meetings/SAC SHOW ADVISORY COMMITTEE - New members always welcome! The Winter month’s meetings are now held along with the monthly meetings the second Tuesday of the month at 6:30 p.m. These meetings are open to ALL members! Please bring us your suggestions, we can use your help and support for the KMSHA shows and programs. Volunteer for any one of the association’s listed committees. We’d appreciate if you would volunteer your services. 2006 brought the formation of a Show Judging Committee and a new Independence Director of Judging program. 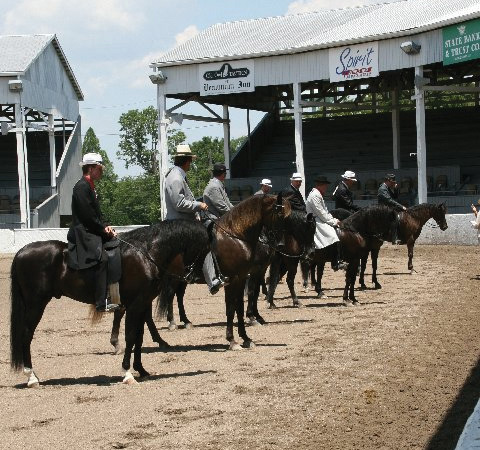 The purpose of the program will be to ensure that all shows are judged fairly and impartially as set forth in the Show Judging Committee Rules and Regulations and that judges adhere to the judging standards. The IDJ will be in charge of reviewing judge's applications, interviewing judges, conducting educational programs and overseeing the licensing of judges. The IDJ will review and assist in the revision of the show rules and will be responsible for assigning judges for each show. The Show Advisory Committee's monthly meetings are normally held prior to the monthly Member's Meetings. If you would like to be a volunteer and help out with the Youth Program, please contact the KMSHA office.